The Raree Show! a Political Contrast to the Print of the Times, by Wm Hogarth, engraved by Edward Sumpter after Jefferys O'Neale, 1762, British Museum. 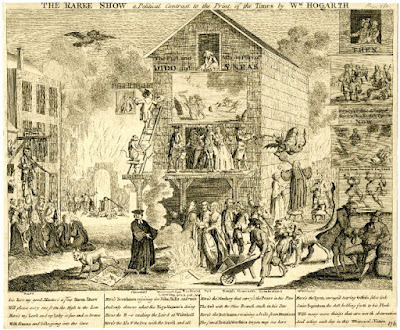 O'Neale offers an answer to William Hogarth's The Times in this densely cluttered political cartoon. 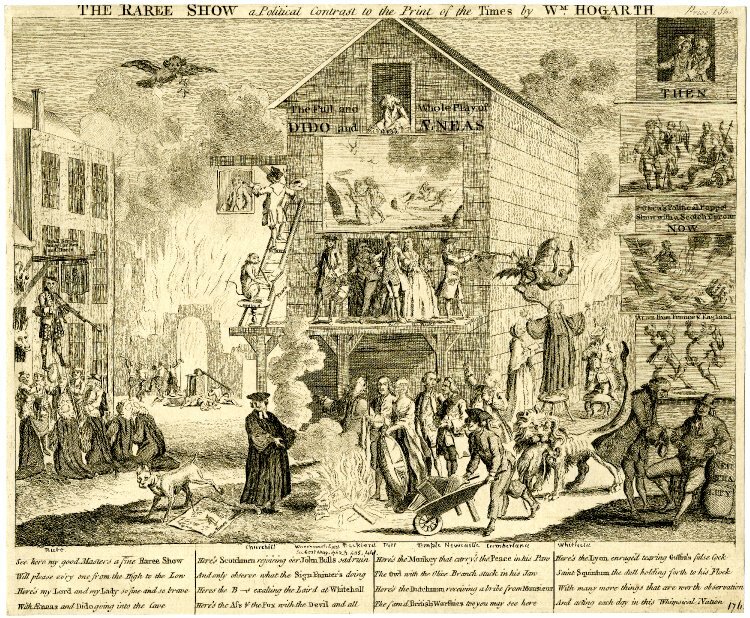 Where Hogarth had a fire engine fighting to extinguish the global blaze of the war, O'Neale's engine is surrounded by slumbering firemen. 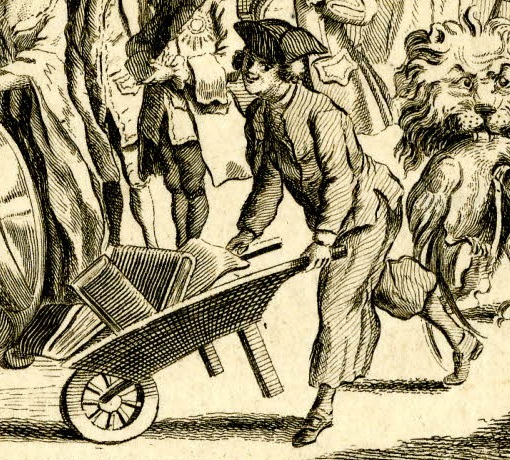 A Tudor king on stilts fanned the flames with a bellows in Hogarth's piece, but O'Neale features a Jacobite on stilts shrilling on bagpipes to draw away attention from the inferno. 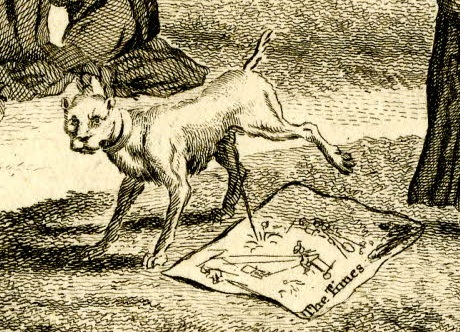 As if there could be any doubt as to O'Neale's opinion of Hogarth, he took the time to add a dog urinating on his rival's print. Hogarth featured a sailor carrying buckets to feed the fire engine. O'Neale's sailor is carrying books to burn. He wears a reversed cocked hat over a bob wig. Around his neck is a striped neckcloth, which is partially tucked into his single breasted jacket with its very short slit cuffs. His trousers are wide and end about the middle or top of the calf. Pointed shoes with rectangular buckles complete his slop clothes.